With the release of iOS 11.3, more Apple fans begin to do a reaserch about iOS 11 vs iOS 10 comparison in order to find out iOS 11's pros and cons or whether to upgrade to iOS 11 or not. Of course, another main reason is that they want to know what this new iOS has missed out so that they can predict what the next generation of iOS can provide for us. In this iOS 10 vs iOS 11 pros & cons guide, you can learn detailed information about advantages and disadvantages of iOS 11.1, 11.2, 11.3 from all aspects, for example, battery life, performance, new features, etc. iOS 12 official release date is Sept 17, 2018, with many enhancement on performance, speed and stability, as lots of salient features, such as group FaceTime, animoji, memoji, screen time, digital wellbeing, smarter Siri, ARKit 2, enhanced Photos app and brand new Measure app etc. New features also added in the latest version. Check how iOS 12 differs from iOS 11 here before you update to the twelfth iOS. 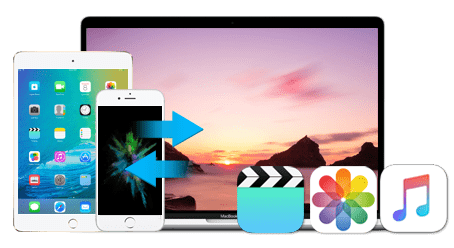 MacX MediaTrans to selectively backup iPhone iPad ebooks, ringtones, photos, music, videos, movies, etc for a smooth iOS 10 to iOS 11 update, and sync content from computer to iPhone iPad to avoid any data loss. 1. Compared to iOS 10, iOS 11.3 now support Airplay 2, which supports multi-room audio playback. 2. On iOS 11.3, there is a single sign-on authentication to other applications using iCloud ID. 3. With iOS 11.3's new Messages in iCloud, users can view or delete all messages hitstory on any devices. 4. The updated Health app also features medical records and data of a patient from hispital. 5. iOS 11.3 users are able to see their overall battery health, and recommend if the battery needs to be serviced. 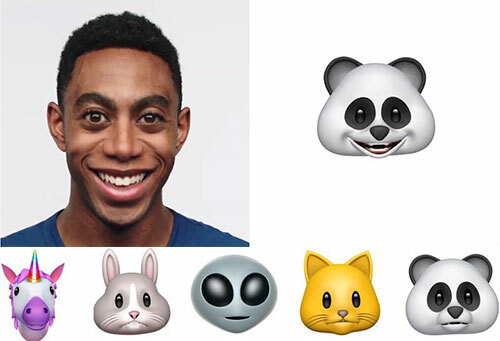 Apple covers Animoji in iOS 11, at which will use facial tracking and your voice to custom emoji that has a facial expression like you do. This brand new iOS 11 feature can be realized based on the TrueDepth camera, which captures and analyzes more than 50 different muscle movements, then mirrors your expressions in any of 12 different Animoji. 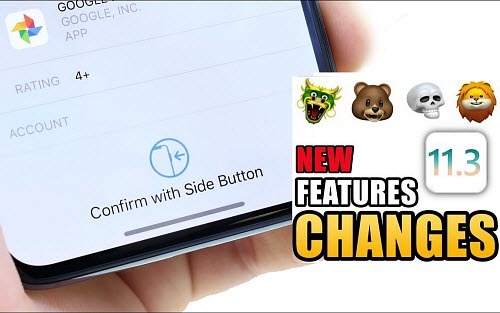 With iOS 11.3, users will have four more emoji, namely a lion, bear, dragon, and skull. It's no doubt that many people will rush to buy iPhone X, iPhone 8/8 Plus. 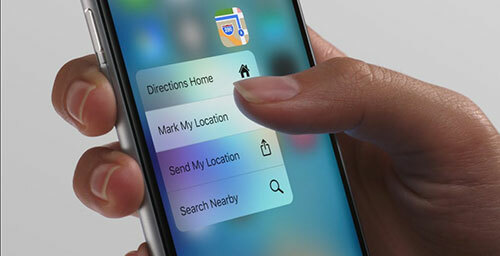 And how to set up a new iPhone can be fussy for green hands. However, iOS 11 makes it easier to switch and set up your new iPhone x, iPhone 8/8 Plus, thanks to the new Automatic Setup option. Instead of walking through a setup screen like you normally need to, iOS 11 will connect the devices and transfer key information over. BTW, both devices need to run iOS 11. In iOS 11 vs iOS 10 comparison, one of the biggest improvement in iOS 11 is that Siri becomes more intelligent and helpful. As is known to all, although the former virtual assistant is a figure of fun with British accents, in a way, it gets better and more useful in recent years. 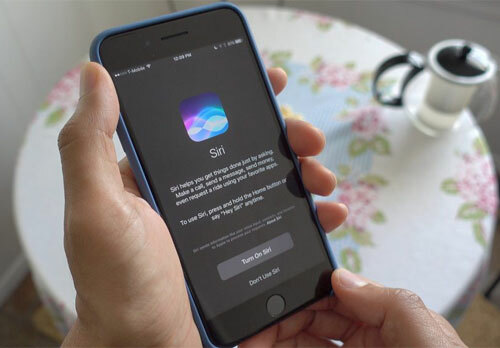 With iOS 11 update, Siri sounds more natural and gets smarter with machine learning and artificial intelligence. Another big difference in iOS 11 compared with iOS 10 is that Siri gains a useful translation feature which can translate what you say into other languages. Siri in iOS 11 can do far more than the voice assistant in iOS 10. Another big advantage of iOS 11 over iOS 10 is that the new compression tech keeps the same quality at half the size, that's an attractive benefit to upgrade to iOS 11.1/11.2/11.3 as HEVC 4K videos and HD pictures are growing in popularity. Apple Pay continues to grow with iOS 11. If you upgrade from iOS 10 to iOS 11, making payments becomes easier. In iOS 11.1/11.2/11.3, Apple Pay integrates with Messages to allow users to send and receive money directly among friends in Messages. This is helpful and convenient, and all you need is an iPhone and your fingerprint. 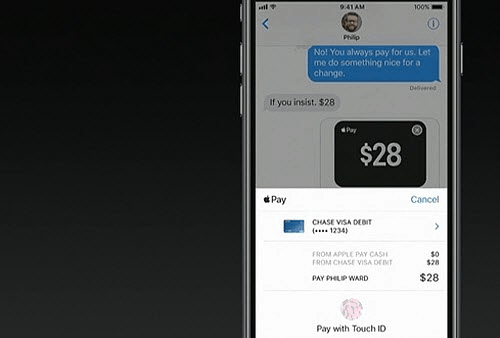 Besides the integration with Apple Pay, Messages now will sync the conversations to iCloud. So if you're upgrade to iPhone 8 or backup for iOS 11 update, you don't need to worry about your messages. Plus, iOS 11 helps you free up space via auto message conversion management. It's designed with auto delete old conversions after 1 year and recommendations to suggest delete the large attachments/conversations. iOS 11 allows people to customise the shortcuts to quickly access to the features and tools you use most. All the options are located in a single screen in iOS 11 instead of iOS 10's three screens. Actually, this requirement has already existed since iOS 8, but the latest version of iOS 10 hasn't updated this feature. Instead, Android phones have done a perfect job in this aspect and users can feel free to reset the Control Centre. However, this iOS 11 vs iOS 10 difference will be a great progress. 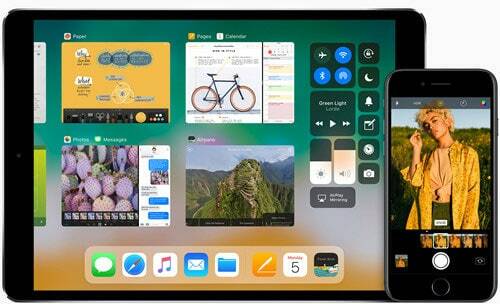 All those new features and improvements will arrive on iPad running on iOS 11, make it more productive and effecient. After you upgrade to iOS 11 from iOS 10, you can enjoy all those benefits. Now lock screen and notification center integrates into one. After you upgrade to iOS 11 from iOS 10, you don't need to check your notification one by one. 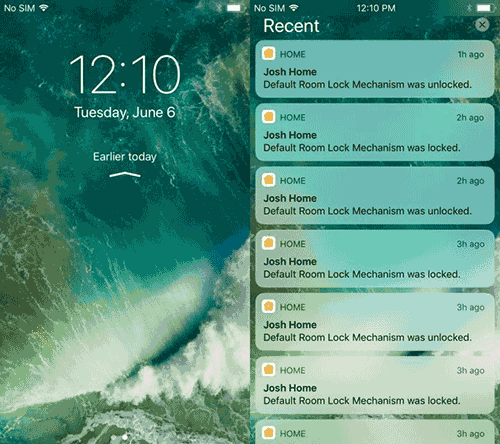 Instead, you can see all your notification messages from the lock screen. This iOS 11 benefit will ensure that you won't miss anything. Besides, you can set Not To Disturb when you're driving, so that no notification will pop up to scatter your attention. The App Store in iOS 11.1/11.2/11.3 is redesigned. To put it simply, the new App Store makes it easier for users to find new apps with tabs for Apps, Games, popular apps etc. However, it will be harder to find less popular stuff. It's hard to say if this update is an advantage or disadvantage of iOS 11 vs iOS 10. Files is the new Finder app for iOS 11, and it's already about a million times better than the basic file-picker it replaces — iCloud Drive. 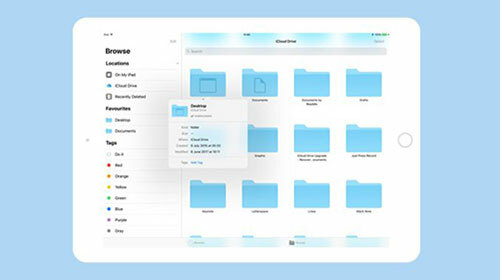 Files is a central place from which to access all the files on your iDevice, and in iCloud. You can find, organize, open, and delete and share all the files on your device, in iCloud, and on 3rd-party storage services like Dropbox. Furthermore, Files supports all the fancy new multitasking features like drag-n-drop on iOS 11. The storage issue has always bothered iPhone users indeed. While in iOS 11.1/11.2/11.3, it's optimized, helping you live with less storage on your iPhone. 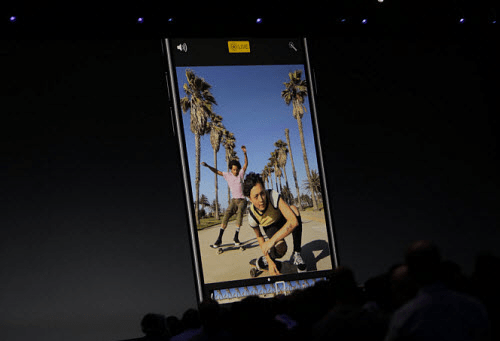 It includes a new way to store photos and videos on your iPhone with half the storage space as the old way. Once you upgrade to iOS 11, your new photos will take up less space. The iMessages in the Cloud will also help with this. Apple Music also gains update in iOS 11. Compared with iOS 10, iOS 11.1/11.2/11.3 makes the popular streaming service more useful. Now users can discover new songs and playlists by checking what their friends are listening to, and also share their playlists, albums and songs that they like to public. Or you can also set your playlists to private. Apple Maps gets smarter in iOS 11 than iOS 10. It now has a 3D map feature that helps uers to navigate in the local shopping centers. It also upgrades the lines outdoors. 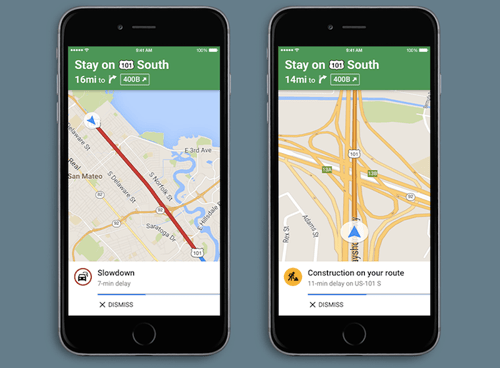 The Maps will tell you where to turn the corner, the speed limits and guidance warnings. This benefit of iOS 11 over iOS 10 will keep you always stay on course. Compared with iOS 10, iOS 11 makes screen recording far more easier. Instead of plugging iDevice to a Mac with QuickTime for screen recording, iOS 11 now introduces a new feature named screen recorder, which will record the screen right from the control center. 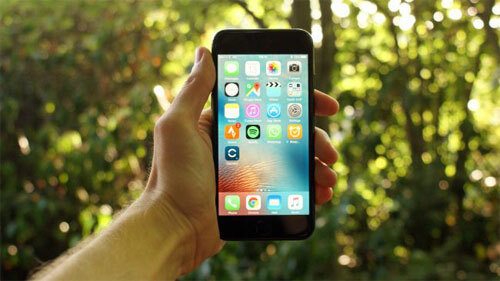 We often hear complaints about the inconvience with larger iPhone models to tap with one hand. Now that problem is solved. 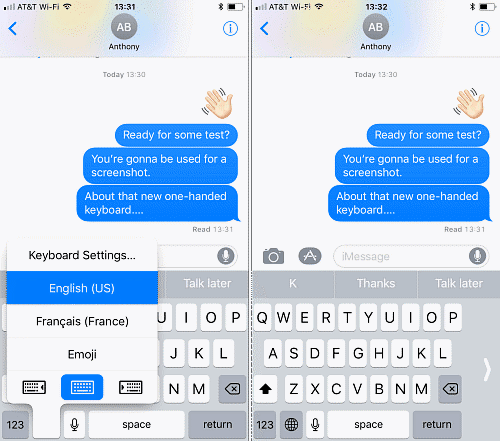 After you upgrade from iOS 10 to iOS 11.1/11.2/11.3, you can hit the keys easily with one hand. You can freely swtich between one-handed and two-handed keyboard modes. iOS 10 allows users to delete built-in apps, and iOS 11 brings that feature further. It will automatically delete the apps that you don't use to free up more storage on iPhone and make your device run smoothly. More importantly, it will keep the data and settings. How to save or improve iPhone 8 battery life is an inevitable problem that you should concern after updating to new iPhone 8. 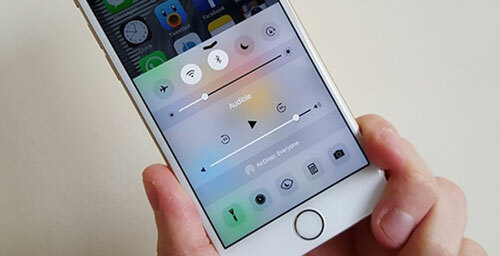 Some rumors pointed that there is a new low-power mode which is very intelligent. In particular, this mode can learn your battery conserving habit and will automatically change it to low-power mode if necessary. It seems like that this new change is pretty cool. On iOS 11.3, there is a battery indicator to tell you the battery's current health. Thus, you can have better control of battery life on iOS 11.3 than iOS 10. 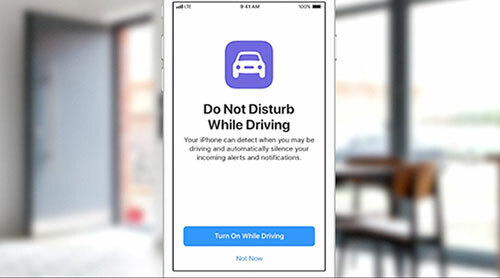 The iOS 11's new Do Not Disturb While Driving feature that's designed to block incoming calls, texts, and notifications while you're driving, with the aim of cutting down on distractions to prevent accidents. After viewing the aforementioned iOS 11 upgrade advantages over iOS 10, some people are so excited to prepare for downloading the beta version on their iPhone. Please slow down, you must know the disadvantages of iOS 11 before you plan to upgrade iPhone iPad from ios 10 to iOS 11.1/11.2/11.3. Now, we take a look at the iOS 11 vs iOS 10 drawbacks and disadvantages. iOS 11 drops the support for older 32bit-only apps. When users want to open a 32-bit app running on iOS 11.1/11.2/11.3, they are remained that "This app needs to be updated". As a matter of fact, the 32-bit apps are not available in the new App Store. Obviously, Apple ends the support for 32-bit apps in iOS 11 and cut 8 percent of 32bit-only apps (nearly 200,000 apps) on the Apple Store. Hence, if you want to continune to use apps that won't work in future versions, you'd better don't update to iOS 11 or just simply downgrade iOS 11 to iOS 10. It is true that iOS 10 supported iDevice start with iPhone 5 and the former models can't run iOS 10. In a surprise twist, iPhone 5 misses out on the brilliant Memories features in Photos when running iOS 10. iOS 11.1/11.2/11.3 drops support for support running on iPhone 5, 5C and the fourth-gen iPad. In other words, similar to the above iOS 11 disadvantage with 32-bit app, iOS 11 is only compatible with devices with 64-bit chipsets. Frankly, this iOS 11 vs iOS 10 disadvantage will influence many iPhone 5/5C users. Using 3D Touch to easily switch apps could be one of the most awesome hidden features in iOS 10. But in iOS 11.1/11.2/11.3, you'll find it's missing. Apple has removed 3D touching multitasking, which means you cannot use 3D touch power-user gestures to open app switcher and move back to the previous app quicly. 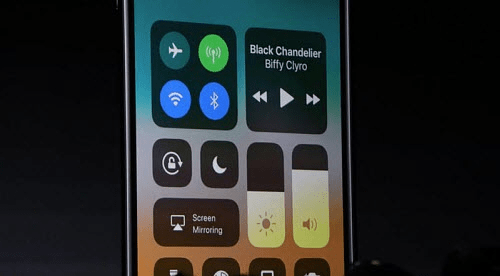 You will have to double-tapping the home button and drag though in iOS 11.
iPhone bluetooth not working and you cannot connect your iPhone to WiFi are also big issues after iOS 11 update. To be frank, these problems happen more to iOS 11.1/11.2/11.3 due to the insufficient pre-release testing. To solve the iPhone connection issue after iOS 11 update, you can go to Settings > General > Reset > Reset Network settings, and turn off Bluetooth and Wi-Fi, then restart your iPhone. 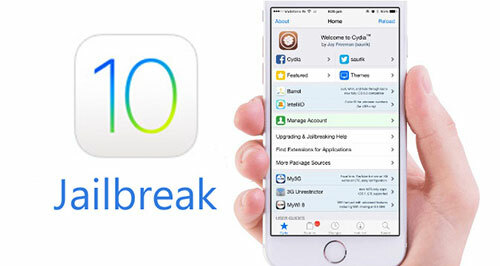 Once you upgrade to iOS 11 from iOS 10, you will lose your iOS 10 jailbreaks. That's to say, if you wanna install free apps, customize your iPhone on updated iOS 11.1/11.2/11.3 like what you do on a jailbroken iOS 10, you have to wait a long time before the new iOS 11 jailbreak final version released. 1. iOS 11 download stuck. As so many peo rush to iOS 11 download, this is a posibility that iOS 11 download stuck, not to mention that only iOS GM was released. Besides, poor internet connection and incompatible iPhone devices can also lead the issue. 2. iOS 11 update bricks iPhone. Unstable iOS 11 usually the main cause of iOS 11 update bricked iPhone. For example, the iOS 11 beta 3 OTA is here, and many iPhone/iPad users find they don't see the download link in Software Update or iPhone get bricked during iOS 11 beta download or installation. To get rid of this problem, you can wait until the official iOS 11 release. 3. The battery life in iOS 11 is poor.The poor battery life on iOS 11 beta or iOS 11 GM has been criticized a lot. some users report that it only takes about 4 hours from full charge battery life to empty. This is no effective solution until on iOS 11 pubilc launch, but you can save iPhone battery life to have a try. 4. Overheat problems on iOS 11 updated device. Yeah, overheat iPhone after iOS 11 updated also means that your iPhone battery will drain fast and it become slow. All you should do is to cool it down before you can use it. Or you can still downgrade iOS 11 beta to iOS 10 before iOS 11 gets stable. 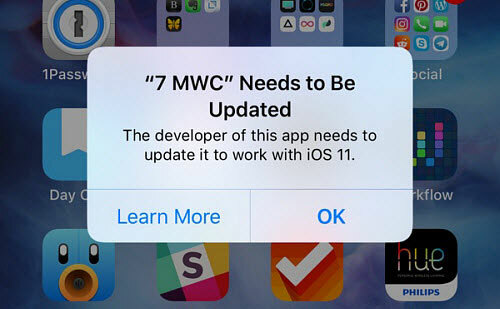 5. iPhone apps freeze or crash.iPhone apps crashing can be caused by too many reasons, especially iOS 11 update. Usually you can try to check possible update for iOS and Apps, force quit app and relaunch, reboot your iPhone, release and refresh the RAM, free up space on your iPhone to fix this problem. live streaming for gameplay or screencast videos, etc. updated maps; improved control centre; updated apps; poor battery life; incompatible with the previous models, etc. * Copy iPhone iPad photos, music, videos, movies, ebooks, ringtones and more to computer to release more free space for a smooth iOS 11 update. * Transfer and sync music, videos, photos, ebooks, ringtones and more from computer to iPhone iPad to avoid any data loss that iTunes constantly brings us.